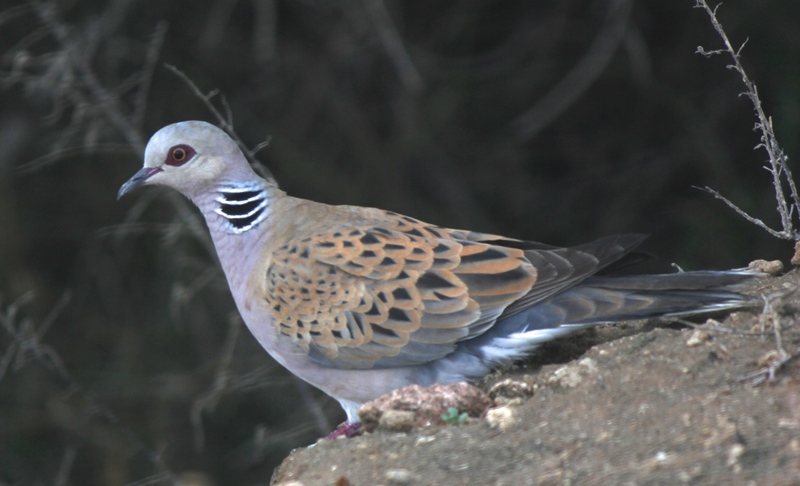 The Turtledove is very similar to, though more beautifully patterned than, the Mourning Dove, with its unmistakable soft, low cooing sound. There are many references to this lovely bird in Jewish literature, including comparisons of both Ruth and the Jewish people to the dove, in Midrash and in the Gemara (Voice of the Dove, Commentary of the Dubner Maggid on the Book of Ruth, trans. David M. Zucker). Many wonderfully colorful descriptions of the festive procession to the Temple during the holiday of Shavuot, include the image of two Turtledoves tied to decorative baskets that were filled with the pilgrims’ First Fruit offerings. 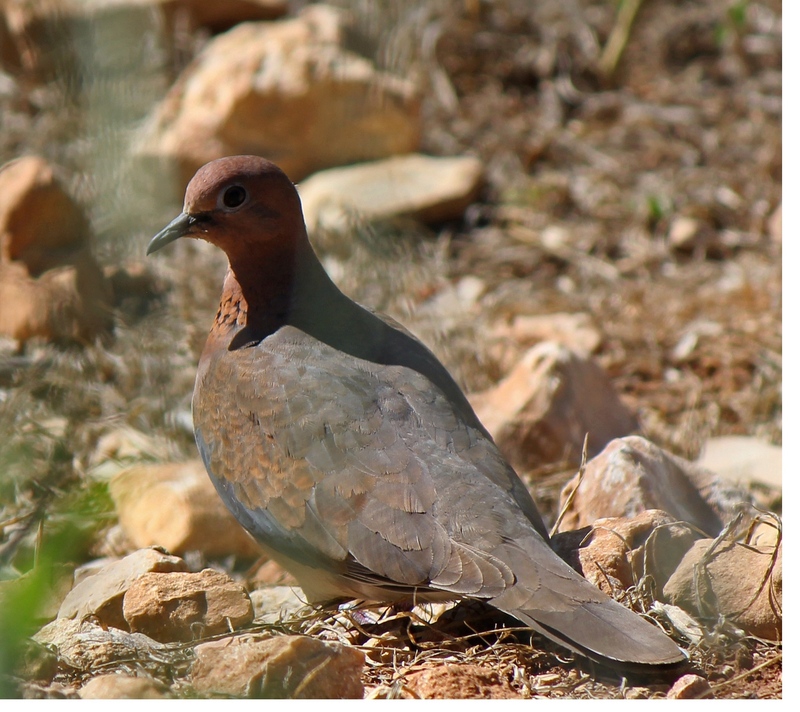 The only birds permitted to be brought as offerings to the Temple in ancient times were the Turtledove, or a ‘young dove’ or ‘pigeon’, such as this Laughing Dove that I photographed in the Jerusalem Bird Observatory. I’ve had the pleasure of visiting the Archaeological Park at Kibbutz Ramat Rachel a number of times while visiting friends who live at Ramat Rachel. 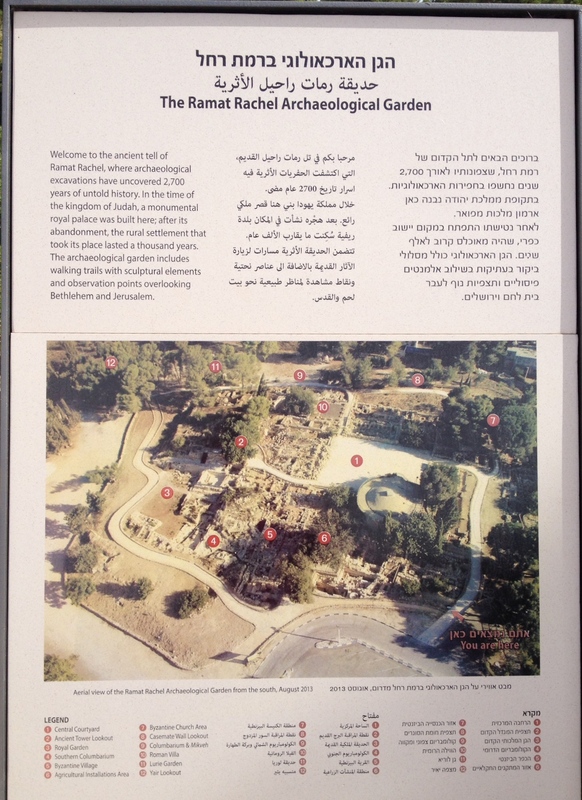 For me, one of the most fascinating discoveries at the site was the ancient buried Columbarium or dovecote, as illustrated in this link about the excavations: Ramat Rachel Archaeological Project. This entry was posted in Birds, Judaism-Birds Connections and tagged Israel, Jerusalem/Yerushalayim, Soul, Tehillim/Psalm, Turtledove. Bookmark the permalink.